This book is an engaging read from the beginning to end. 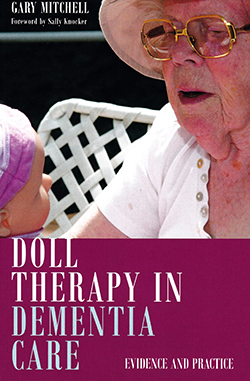 The examples of conversion to doll therapy that are interspersed throughout the book are inspiring and bring to life the importance of understanding the complexities of the needs of people with advanced dementia, particularly the need for attachment, and how doll therapy is one of many approaches to engaging in person-centred care. Each chapter can be accessed as a standalone text. The book provides a progressive development of the case for using doll therapy addressing clinical, research, ethical and theoretical positions and debates for its use. It is also excellently illustrated with case studies from families and formal caregivers. The work is original, contemporary and relevant to nurses working with people with dementia, but also accessible to healthcare assistants and lay readers. I would recommend it as an essential text for any professional engaged in the field of dementia care.